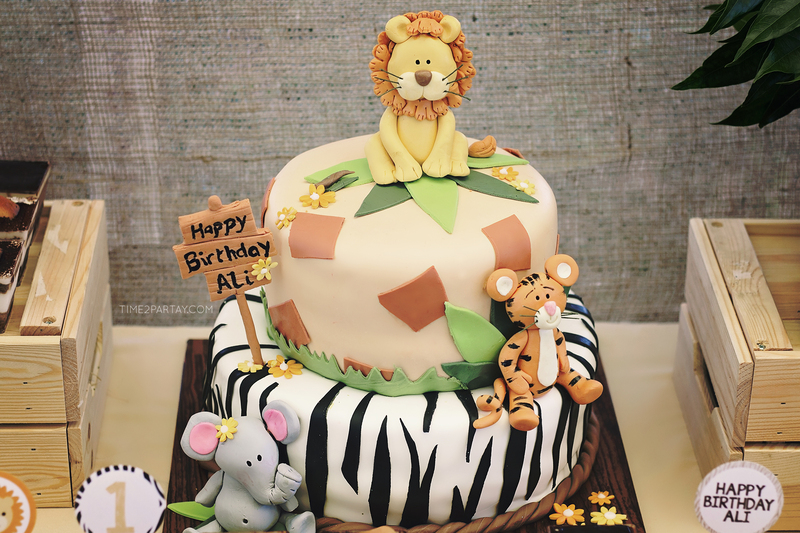 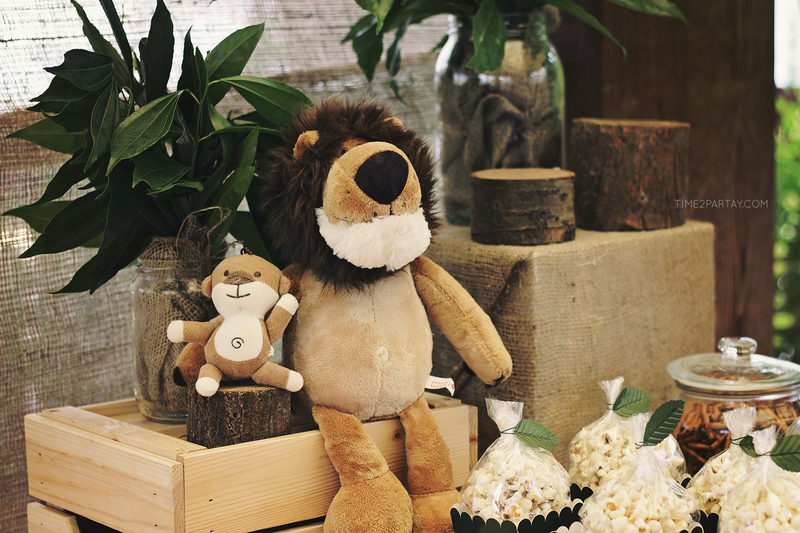 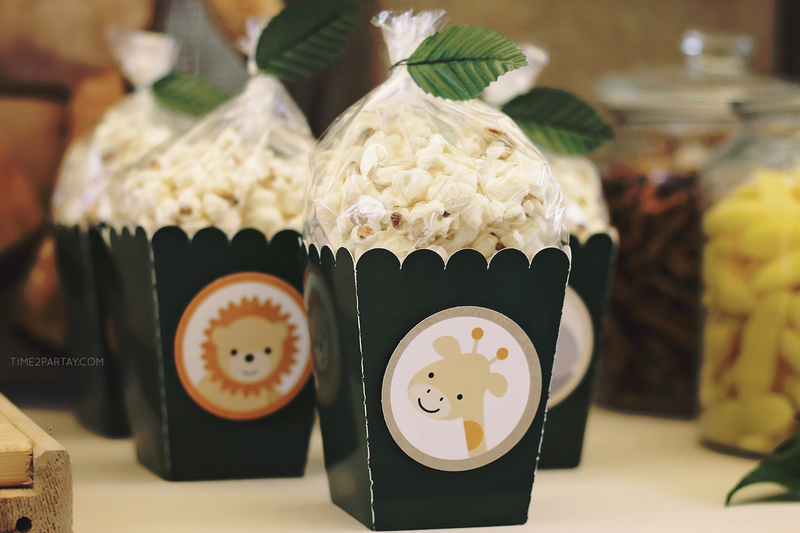 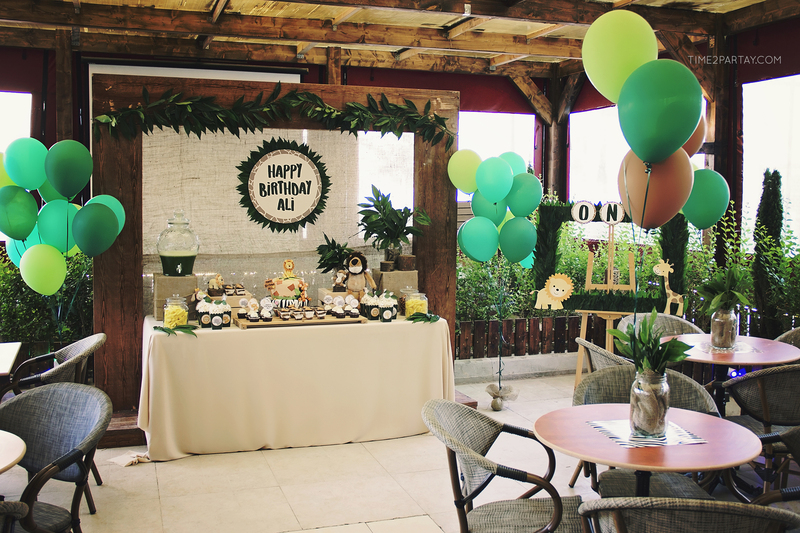 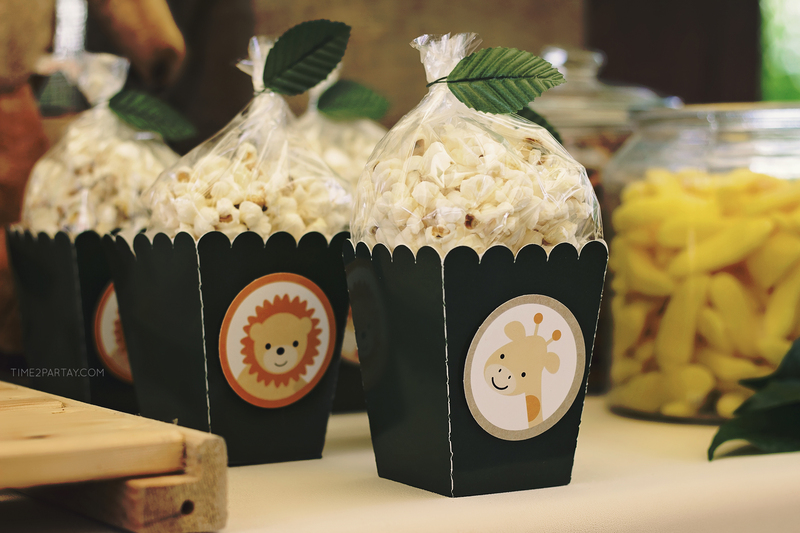 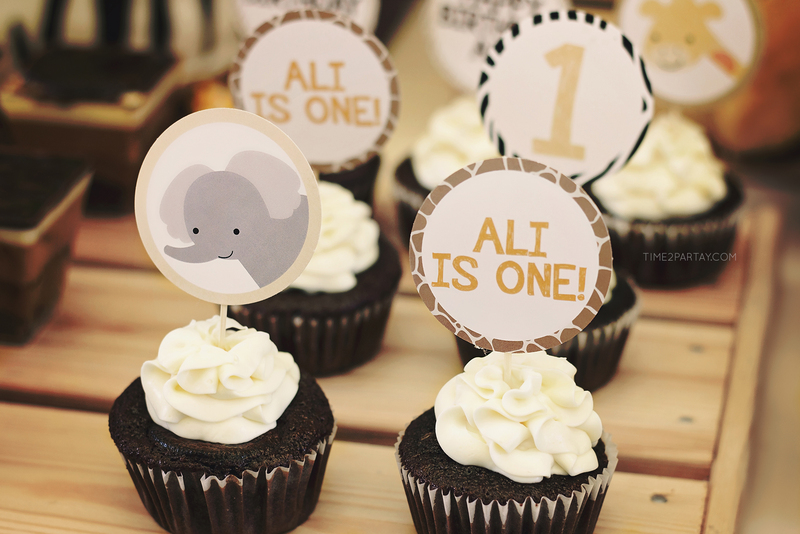 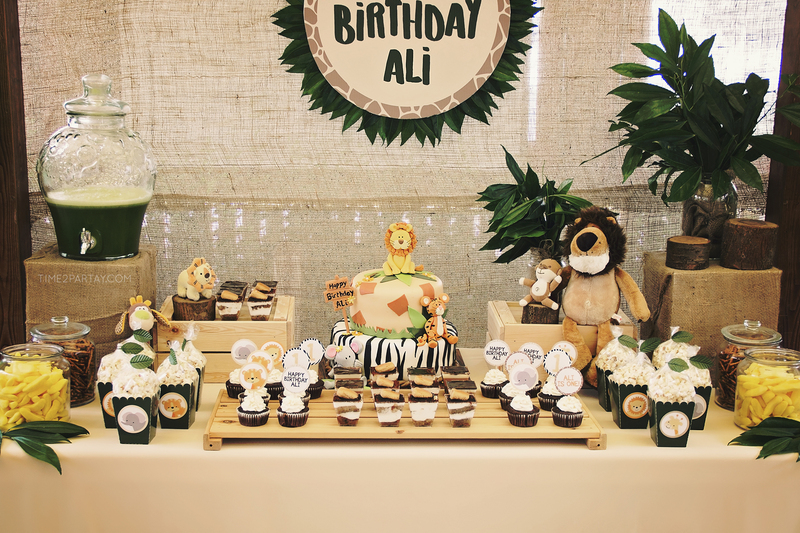 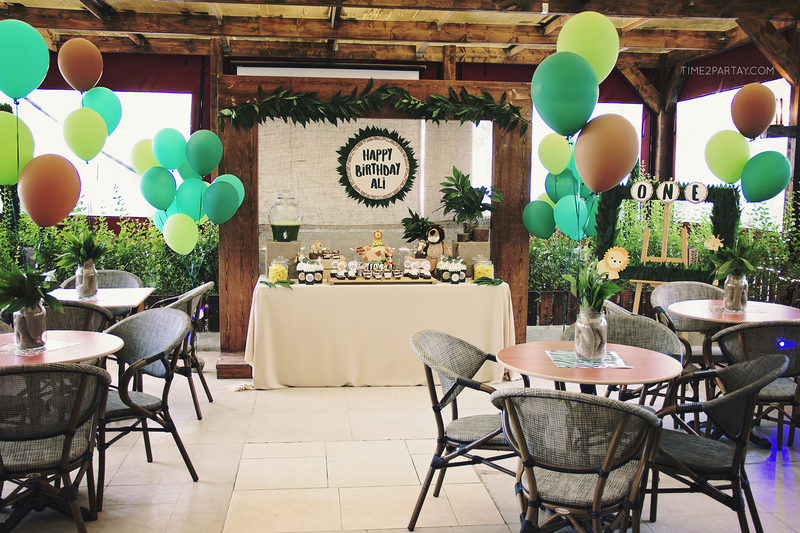 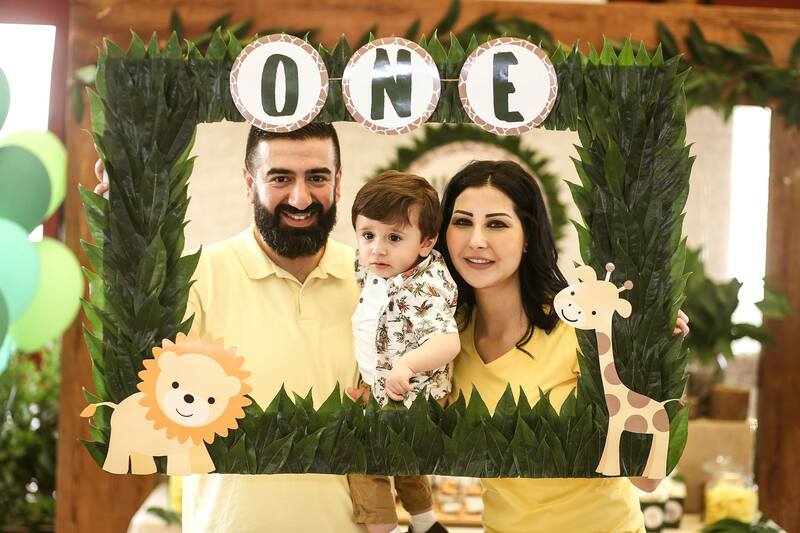 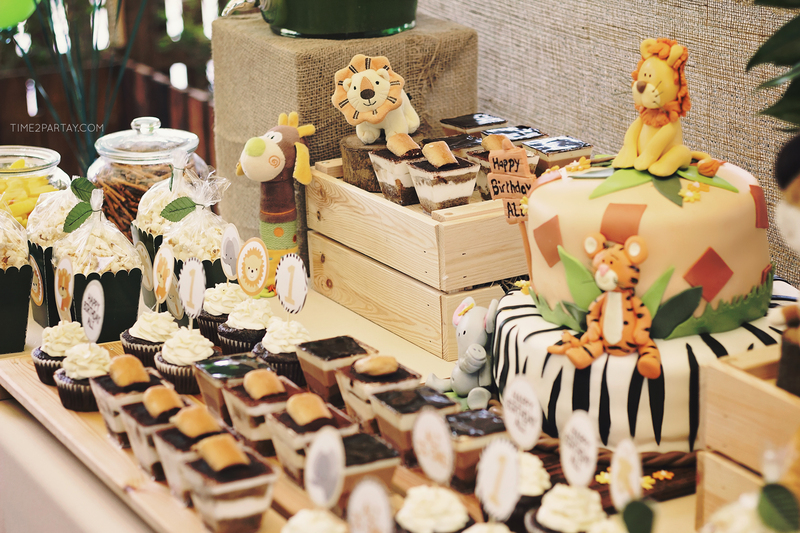 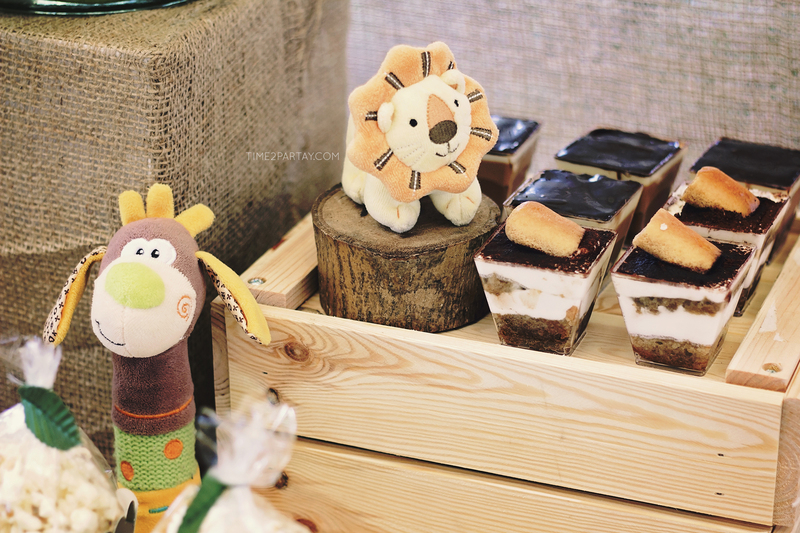 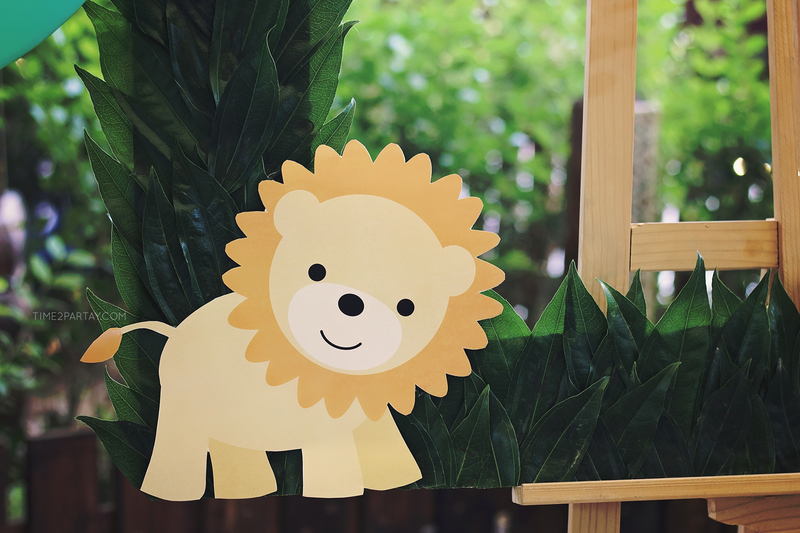 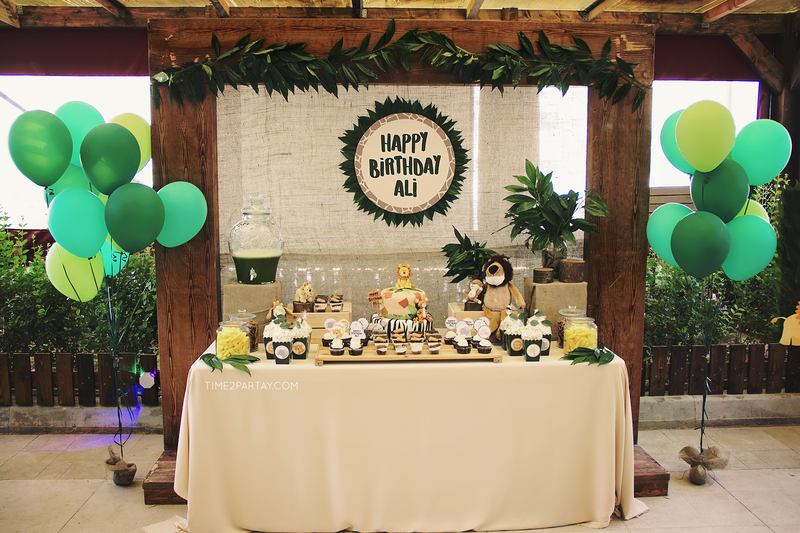 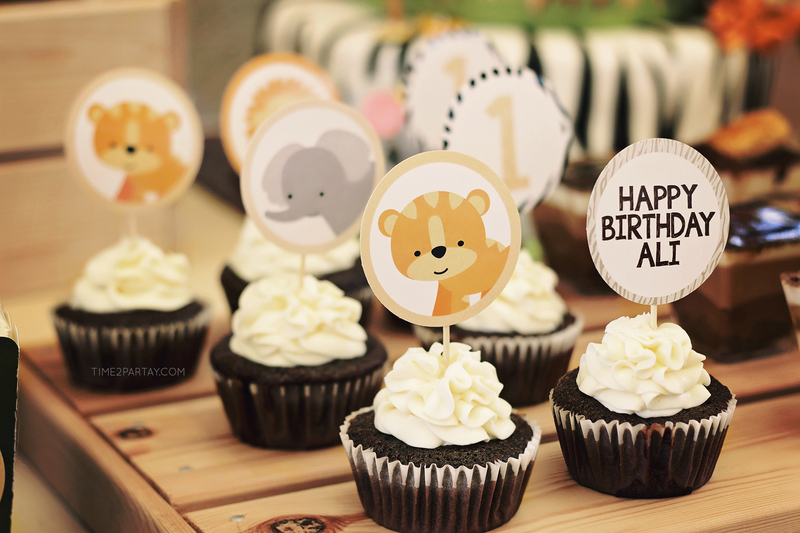 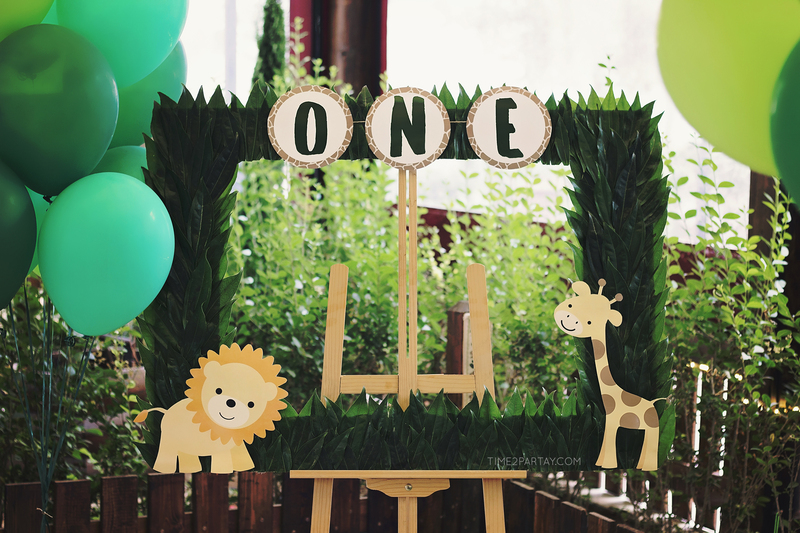 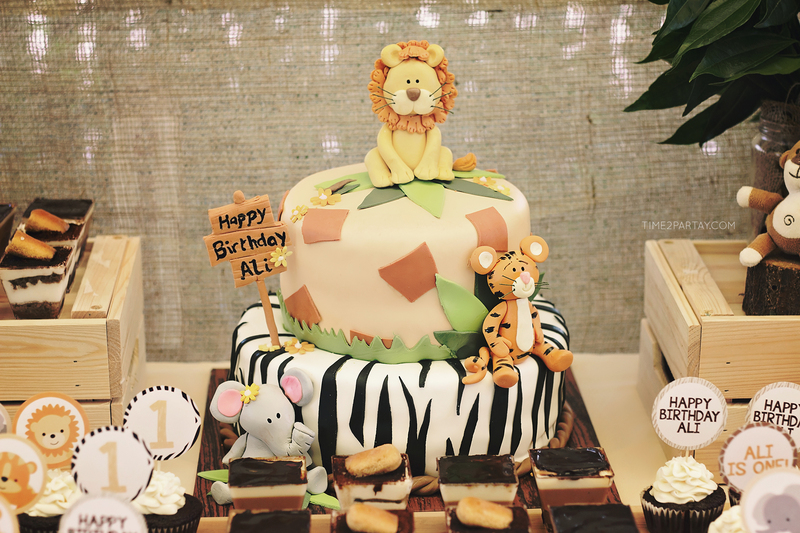 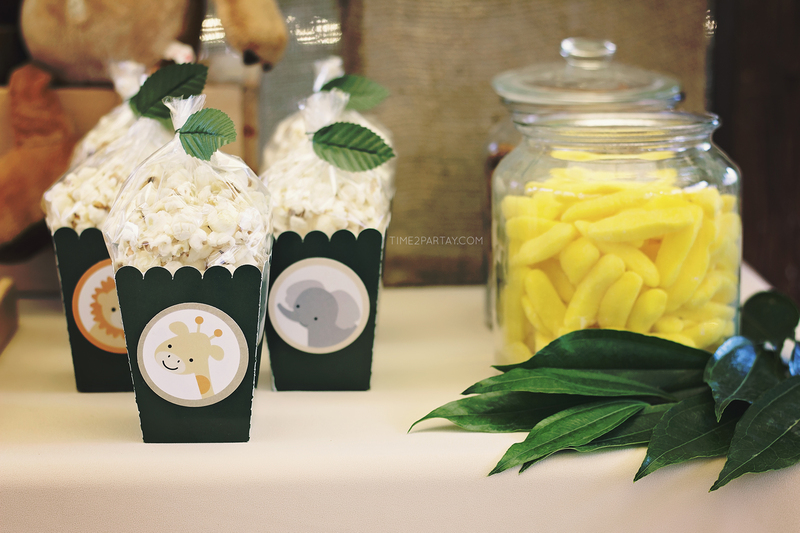 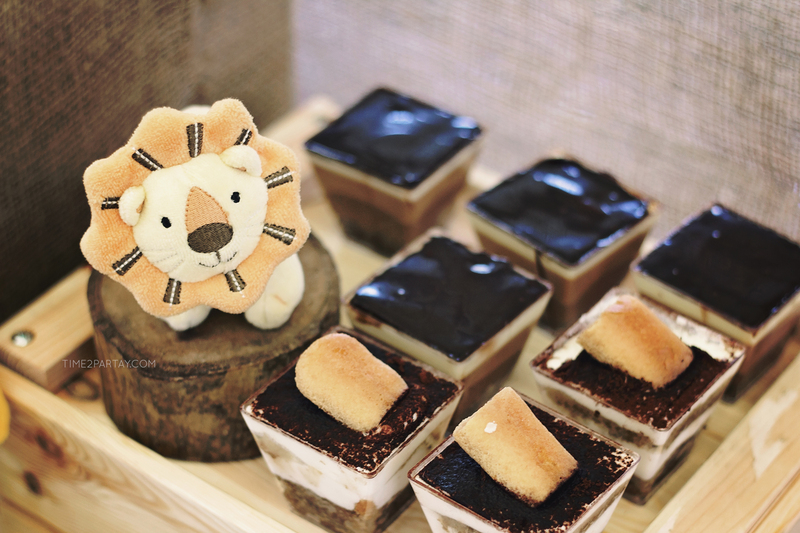 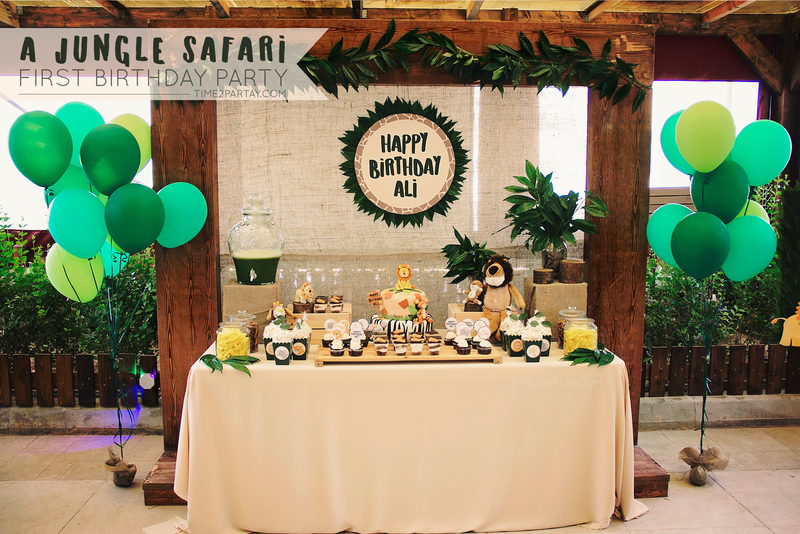 There’s no better way to celebrate this adorable cub’s wild & fun first birthday than by throwing him a jungle safari themed party! 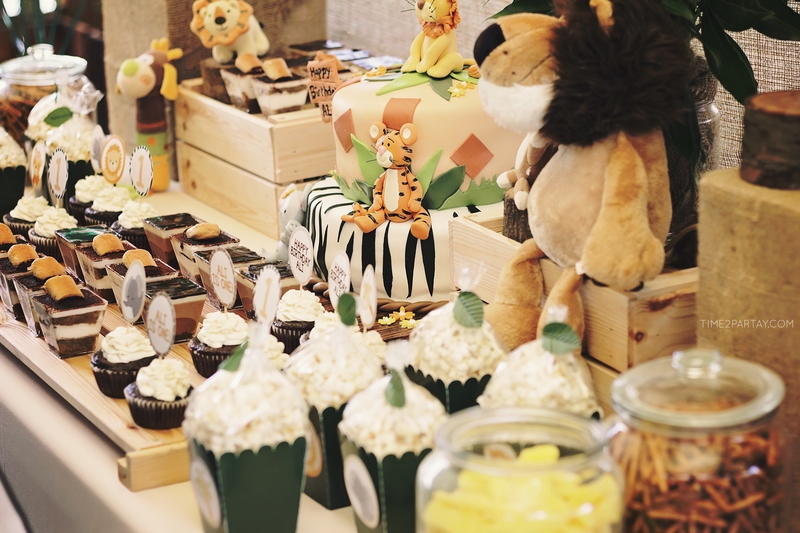 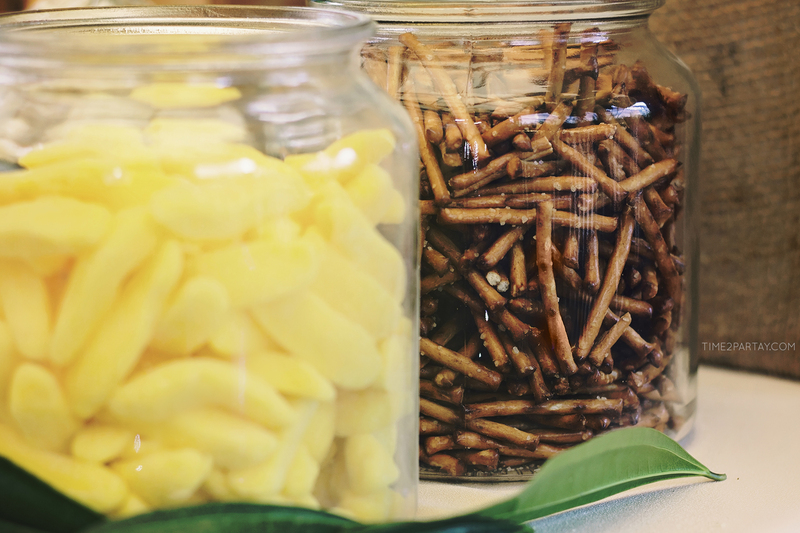 We decorated the dessert table by using nature inspired details and colors. 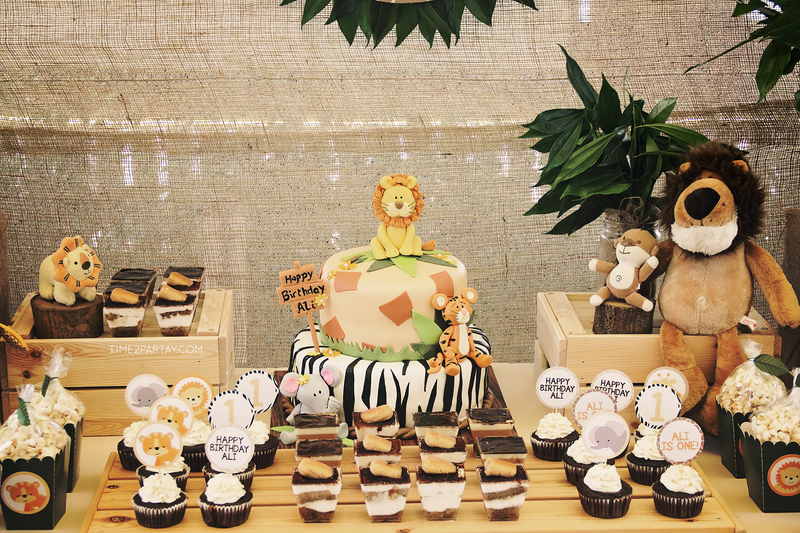 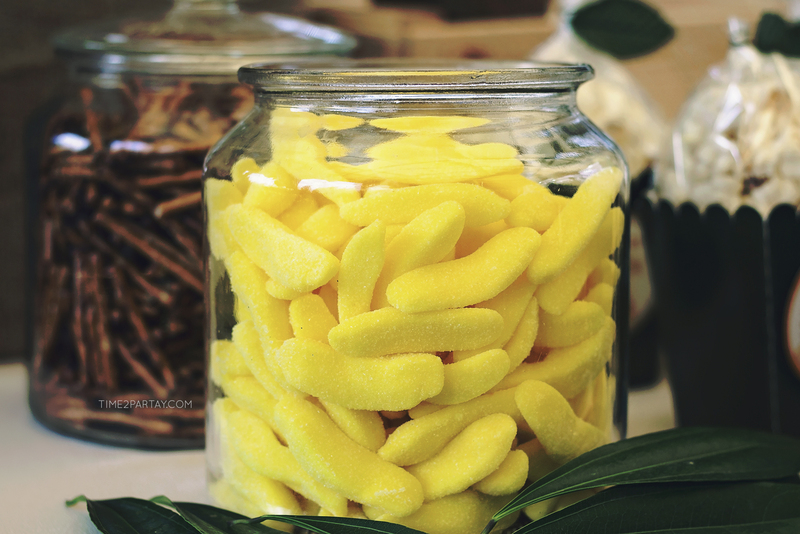 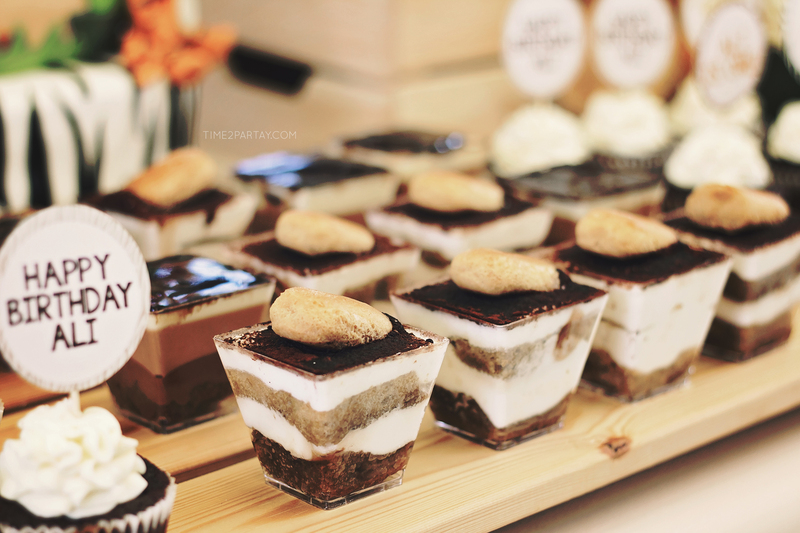 The sweets were a delicious cake and mini tiramisu cups by Sukkar Cakes, gummy bananas, pretzel “twigs”, popcorn, and Oreo cupcakes with toppers designed to match the theme. 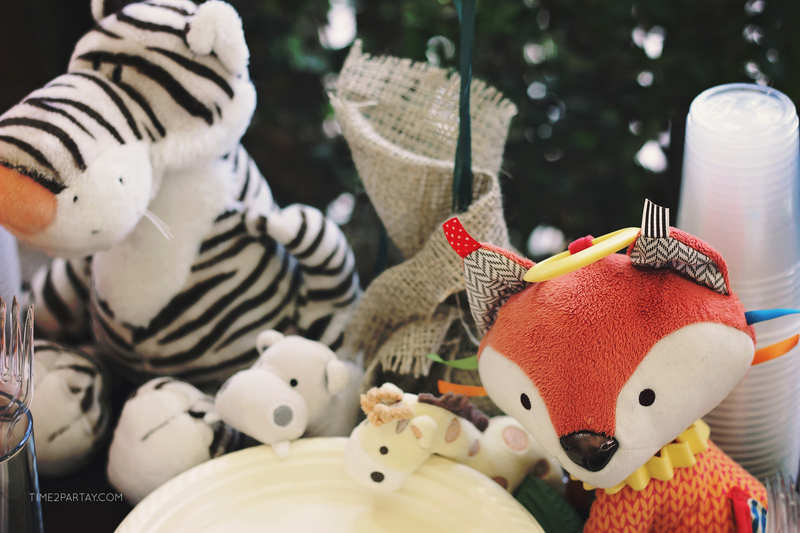 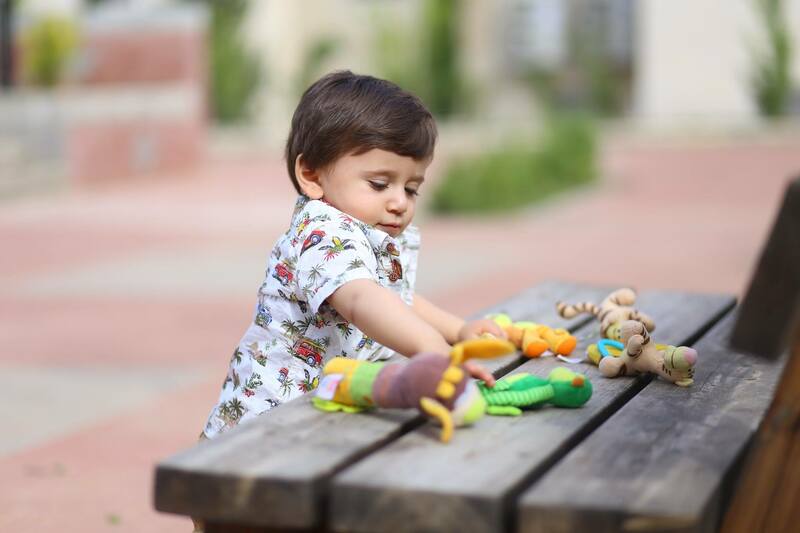 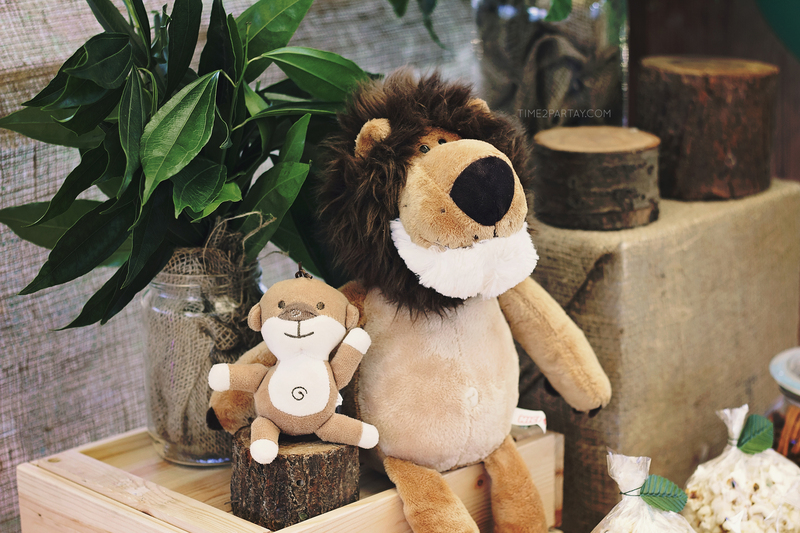 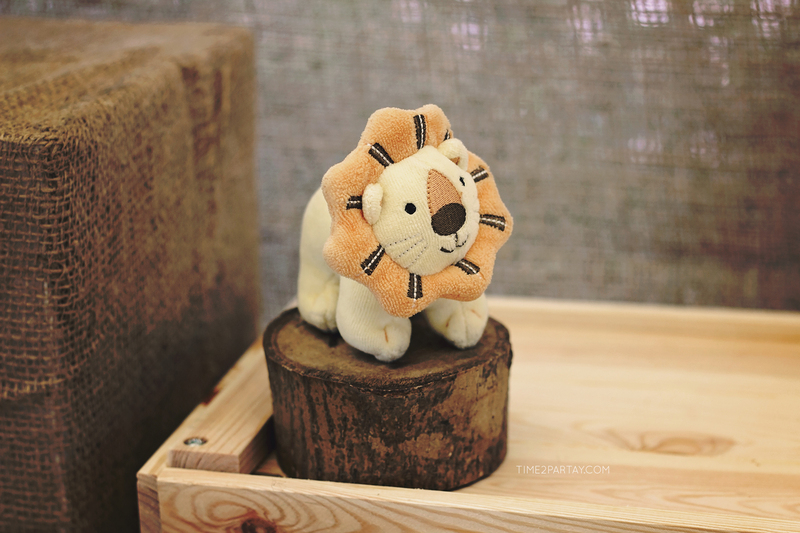 The stuffed animal toys we added were some of the birthday boy’s first and favorite toys he loves. 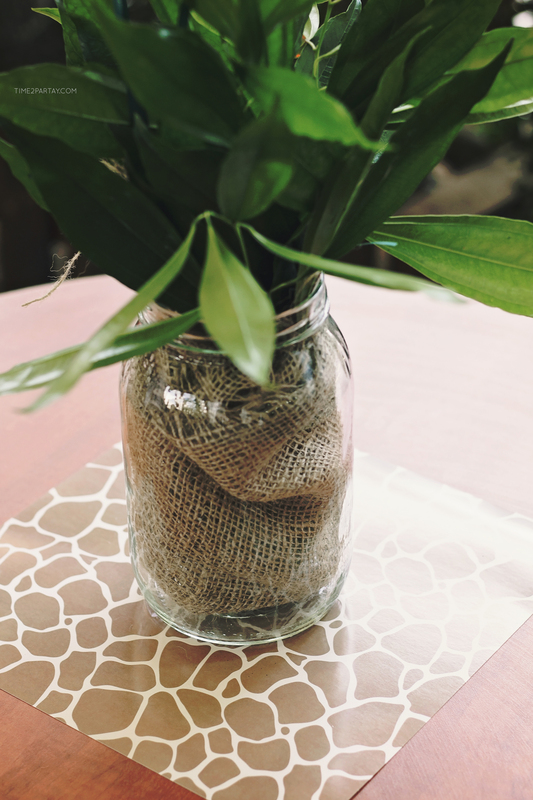 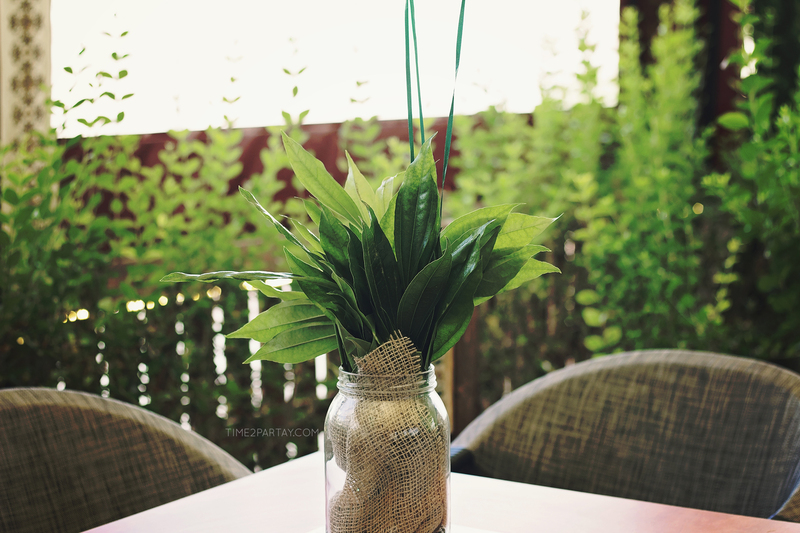 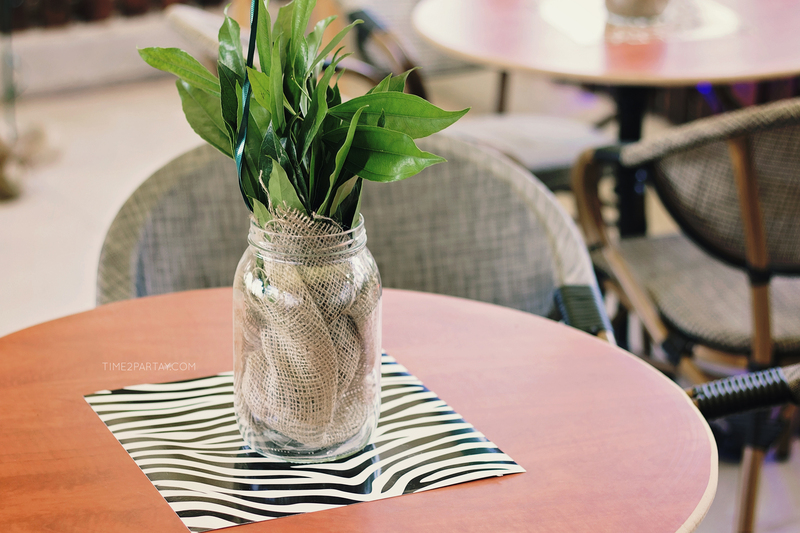 We added an animal printed mat with leaves and balloons as the guest table centerpieces. 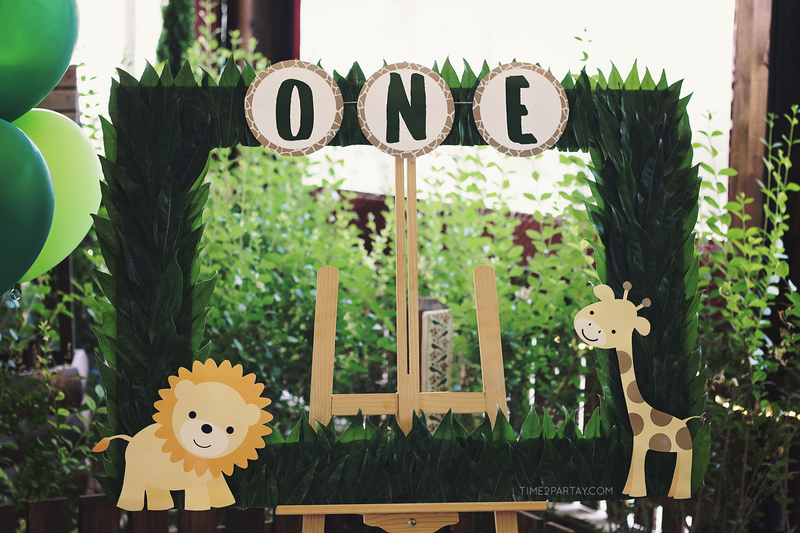 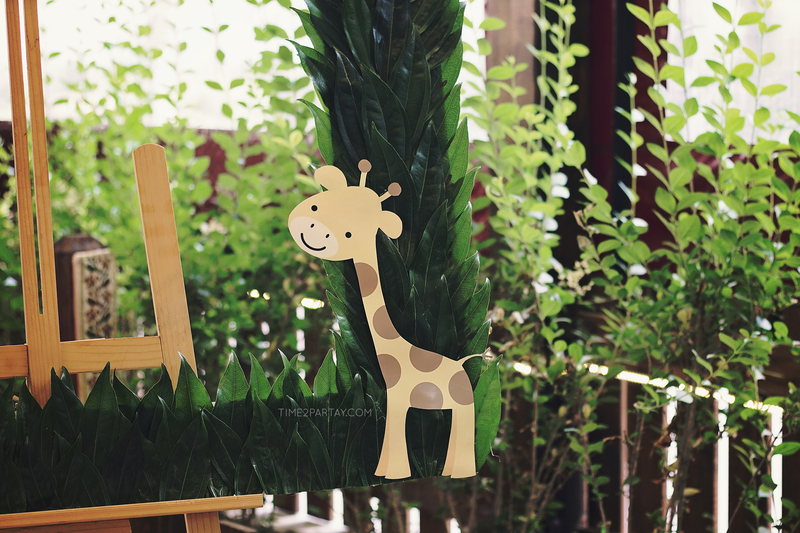 The guests loved the photo frame prop we made using leaves, a banner, and animal cut outs. 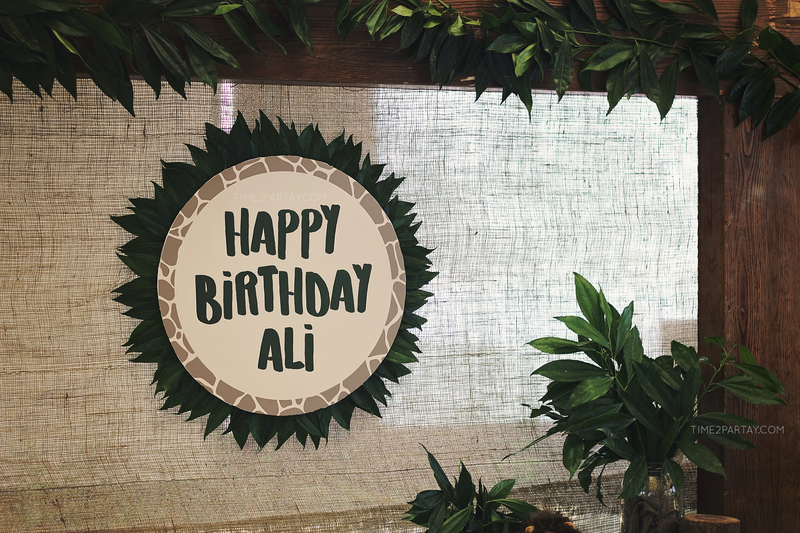 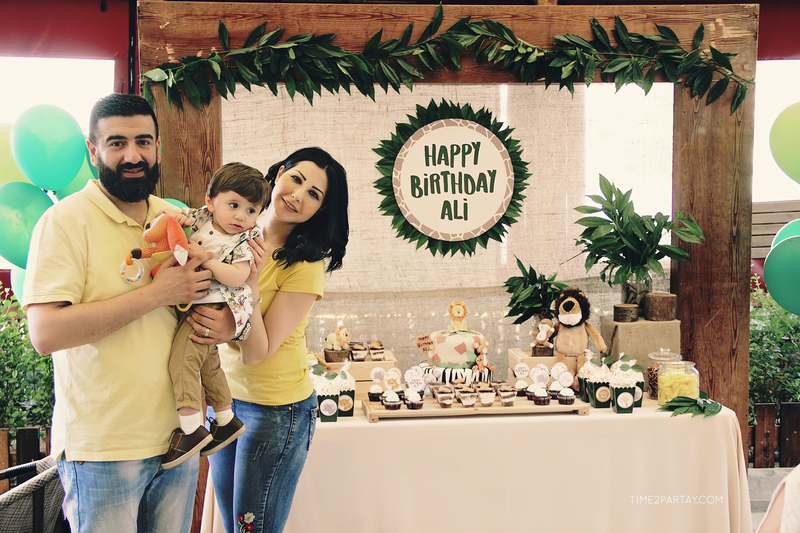 Happy first birthday Ali!